Jerry Durham is Out of Network with Everyone! 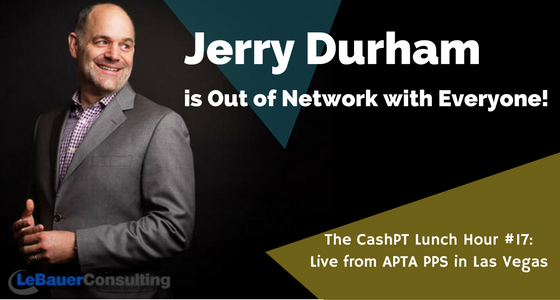 I had the opportunity to interview Jerry Durham, PT live from the APTA PPS Annual Conference in Las Vegas, NV. The PPS conference in Vegas was over the top! If you haven’t been please put it on your radar for next year. The relationships alone make it worth the time and investment. The party Friday night at the Wynn hotel was awesome! There was an open bar, gourmet peking duck and fried chicken/slaw sliders, water fountains on fire and a DJ dance party that rocked! 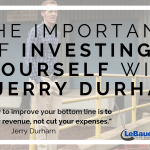 Jerry Durham believes the Magic is in the Relationship you build with your Customer. This relationship is fostered a in your Patient Experience. Jerry has been a Physical Therapist for 24yrs. He opened San francisco sport and spine Physical Therapy with his partner, Sturdy McKee, over 15yrs ago. He has 3 clinics in San Francisco and they are all out of network. 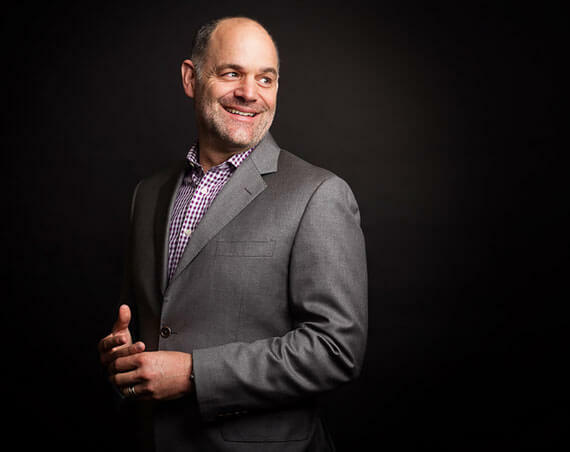 Jerry is in charge of Lead Conversion and the Patient Experience. What is Insurance Fraud anyway? Recently a question in the CashPT Nation Facebook group came up about out-of-network clinics billing the insurance company more than the cash-pay rate and keeping any “overpayment,” why it cost patients less than the $150 cash pay fee and was this ethical? Some folks called it “Fraud,” and I agree, it sounds a bit confusing and different. Out of context, with some mis-information about how the whole system works, this process is hard to explain. Understanding the correct terms is vital. 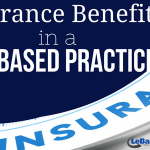 What it boils down to is, there is a way to file a claim on behalf of one’s patients with their insurance company, in an out-of-network setting, earn a fair living and still keep it ethical. There was not enough space to fully answer this in the post. Jerry offered to discuss the question with me on the phone and after talking, we decided it would be a great opportunity, and better platform to answer, to have him as a guest on The CashPT Lunch Hour to talk about this topic, define the terms needed to understand this question and touch on other “out-of-network” and “cash-based” issues. I also had the fortune to finally meet Jarod Carter in person. We’ve known each other for about 5 years, thanks to our similar bunion treatment videos on YouTube connected us one day. Jarod is my PT “brother from another mother.” We’ve been on the same trajectory (rocket ship!) for quite some time. It’s always great to have the support of your peers and Jarod is full of abundance and positive energy. 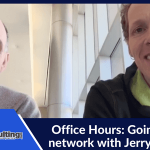 After chatting with Jarod about the conference and the conversation with Jerry, I invited him to participate and be present to ask questions during the interview so that we were sure to get all the answers and clarity this issue required. It was awesome teaming up with Jarod and I’m looking forward to doing it again in the future. 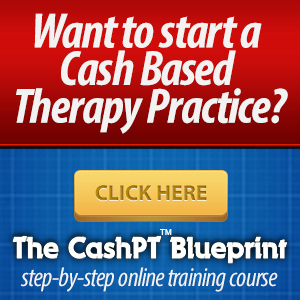 -What’s Possible in the Cash-Based, Direct Pay & Out-Of-Network Practice Model. Jerry’s clinic San Francisco Sport and Spine is Growing! Aaron LeBauer PT, DPT, LMBT started a 100% cash based physical therapy practice right after graduation. He's on a mission to save 100 million people from unnecessary surgery & enjoys helping passionate therapists build successful businesses without relying on insurance. Just wanted to say this was an absolute blast, and Thank You for including me on this one Aaron! Same here Jarod. I’m stoked you were able to participate in the interview and it was great meeting you in person. I’m looking forward to the next time. Love listening to this podcast on my runs. Business is better than I could have ever expected due to all the info I have learned going into it as a side hustle from my full time teaching gig. Keep doing your thing ?? I find the material and products valuable for every cash-based PT. Thank you so much for all of your knowledge, heart, and hard work! Looking forward to the future!! My friend and co-worker turned me on to this podcast as she is growing her cash-based PT business, and I am addicted! I can’t stop listening, and I’m gleaning so much information that will help me eventually take the leap from working for a large healthcare system to starting my own practice. Listening to the various amazing professionals that have been on the show has made me realize there are so many ways to go about having your own business. It’s not one size fits all, and it doesn’t have to be as complicated as I once thought. I’m inspired to dream again, and I’m excited to make those dreams a reality soon! Thanks, Aaron, for all the insight and invaluable information you and your guests continue to deliver! I have listened to this podcast every day while driving between my home based clients as I grow my cash based practice. 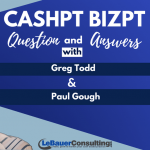 I have enjoyed the laid back conversations that always include awesome guests discussing the various aspects of growing a successful cash based practice! Wide variety of topics, all are useful! Thanks Aaron! Geniune Human Looking to Serve People. Aaron is an incredible human and an awesome resource in the field of Cash Based Physical Therapy. Appreciate your podcast and your willingness to provide top notch, progressive business knowledge that you've acquired through your experiences. Always look forward to being challenged more with this podcast. Aaron is a tremendous help for anyone looking to start a cash-based practice! Highly recommend his content. Aaron is the man! Great insight! Great perspective! Definitely recommend to perspective PT’s! Love your podcast. You bring it with information each and every episode. I’ve been listening to Aaron’s podcast for several years now. I’m not sure what took me so long to finally write a review. Thank you Aaron for your inspiration, your information, and your passion for selflessly helping others start their own cash practice. Started my cash practice this month. Just AWESOME. Listen now. If you are a PT and own a cash practice, or just want to learn great informaiton about how to promote the PT field and improve the health care experience for your clients this is the place to listen. Thank you for all the great information! Amazing Podcast! Great Information! Highly Recommend! 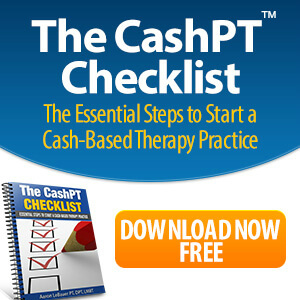 Aaron is hands-down one of the best and most knowledgeable PTs out there in the CashPT world! Whether you're thinking about starting a cashPT side hustle or immerse fully in the CashPT world - I HIGHLY recommend you check out this podcast. It's packed with very relevant and useful information that will motivate you and help get you thinking in the right direction. Aaron has been a great resource and inspiration for me and helped me take my practice to a level I never thought possible! Thank you Aaron!! 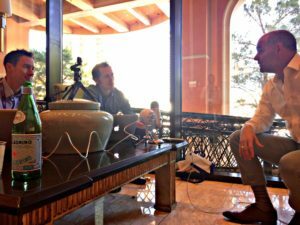 As a student, Aaron LeBauer and his podcasts have been crucial in my research to develop my own cash-based practice. Start listening and see why. I’ve been listening to Aaron’s podcast or sometime now. Every episode is packed full of great and useful information. I would highly recommend it to anyone looking to go into an out of network/cash-based model! Aaron is a fantastic physical therapist doing very well with his own cash based practice and he is an influential figure helping the next and current generation of cash based PT business owners! 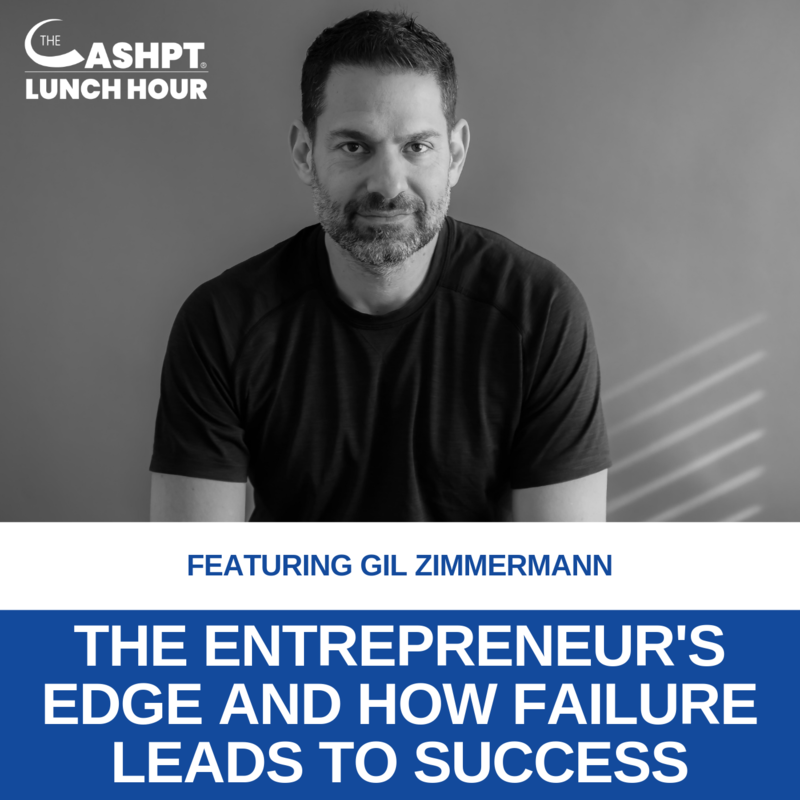 His podcast is very helpful in which he interviews other guests with unique business insight that is extraordinarily valuable to the aspiring and current PT business owner. Highly Recommend! I really like the variety of stuff that you talk about. Aaron shares nuggets of gold in all his cash PT products (blueprint, mastermind, etc.) so this podcast is no different. Whether you are just starting a cash PT practice or already established like my cash business, he provides a wealth of information! I have found the podcasts inspiring and motivating. I get to learn from the successes and failures of like-minded individuals who want to do PT a different and better way. So awesome! I am in the middle of starting my own cash basis PT business and this has been such a help! Thanks so much! This is a great podcast if you are working toward starting a practice that focus 100% on patients. This is a MUST listen! Thank you so much Aaron! Aaron's podcast is packed with useful and actionable steps to push forward with starting a cash-based practice. It has motivated me to push forwad, and hearing from all these clinicians... I now realize it is possible for me to do the same without breaking the bank. I highly recommend Aaron's podcast. Hey Aaron I just finished listening to your first podcast and I'm really happy that you've created such an awesome podcast. Just wanted to personally say thank you as I believe it's truly going to help me build my cash pay physical therapy business. It gives me hope that I can live my dream like you are! What can I say!? This podcast is absolutely informative and has continued to provide great insight into my practice. Aaron's guests and himself, of course, has provided me continued support and aspirations to grow my practice. As a sole practitioner going through the transitiong from infancy to adolescent stage in business, it has been instrumental to my early success. The topics covered in this podcasts are extremly applicable to any PT practice, cash or not. At the very least, if you aren't cash based YET, it will challenge you to imagine the possibilities of freeing yourself from the insurance game. People like Aaron, Jarod, Paul Gough are huge to our profession and am eternally grateful for their contribution to our field. Thanks again Aaron! Aaron does a great job of asking helpful questions that will make a difference for anyone listening. This podcast is great for anyone looking to begin a cash based business, but also anyone looking to start a business in general. This podcast is very helpful. Aaron has surpassed all expectations! A must listen podcast for those wanting to do CashPT!! Thanks for always empowering us PTs that "we are ready now"!! That truly speaks to me and many more in that podcast. Thanks for sharing your positivity in this profession and for being so giving. You're such a great role model for me! Thanks again!! Aaron provides quality information regarding the private/cash pay business model. This is a great resource for those just starting out or seasoned business owners. Aaron is the Cash PT Master! Aaron's podcast truly does an amazing job for anyone looking to open a Cash-based physical therapy practice. He has the knowledge and experience to take you from lacking confidence to opening up and running your own cash based PT clinic. I have also had the pleasure of meeting with Aaron in person recently and I was blown away even more. Aaron is on the forefront of Cash-based PT! I had the pleasure of Meeting Aaron LeBauer last weekend at SmartSuccessPT live event in Clearwater Florida. He is so knowledgeable, helpful, and an assets to the PT community as a whole. Can't wait to listen to more episodes!! Aaron absolves any fears you might have about starting your cash practice because he talk about what is going on outside from your belief system and has gone through the process of setup himself. Aaron does an amazing job of debunking the myths and fears that stand in the way of opening a cash based practice. 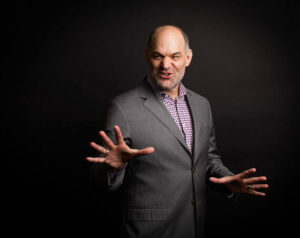 He shares his personal experiences to encourage the audience to pursue their dreams of serving clients in a better way. If you have any aspirations of creating a cash based practice, then this is the podcast that you must be listening to! Best use of time for Cash PTs! 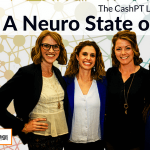 Although the podcast just recently launched, it is immediately apparent that the topics and discussions are highly relevant for anyone looking into why and how to run a cash-based Physical Therapy clinic. The content is rich and deep. As a DPT student, I greatly appreciate hearing more about what is relevant to patients and the types of questions that patients ask. Aaron LeBauer truly inspires and empowers listeners like me through this audio medium with the key points that challenge the concepts of traditional old-school models with the new approach that is replicable even for new grad PTs. At time of writing this review, there are two episodes with special guests. Both Chad Madden and “Dr. E” Erson Religioso shared valuable real-world insights on their experiences with what has (and has not) worked. The best part is that this platform is great for learning more about who’s who in the field of Physical Therapy. Hearing Aaron's content really got the wheels spinning for me as to what is possible in the cash pay realm. From there continuing to explore his content and ultimately meeting him in person solidified everything. His content is truly invaluable and the way he delivers his message with such confidence and certainty gives you what you need to feel the same way in your practice. Thank you Aaron for providing this knowledge. Aaron is the real deal. His approach to cash practice and life is refreshing. If you want advice and encouragement from the trenches Aaron's your guy. Aaron is awesome! Keep up the great work! Priceless,direct, and useful information! If you are a therapist doing the cash based thing listen here so you can save yourself all Of the trial and error! Great information delivered in an insightful manner by a superb PT and person. Enjoy! Substance packed podcast that answers so many questions I have as a practice owner. Glad to have found this! Aaron gives great info on starting and running a cash based business! He's a great guy and a passionate expert in our field!! Listen NOW!!! If you're looking to start your own out of network cashed based clinic, or are already successful with one right now I think Aaron and his guests can offer great new ideas to help catapult your success. I look forward to all episodes, Aaron! Appreciate your willingness to share! Podcast for every Cash Based Practice Owner! Aaron definitely talks about how one can start a cash based practice and why you should! This podcast is a great resource to all practice owners!